The R2 Sports software tournament media report is a player tracking tool which allows participants and directors to run match reports using different criteria during a live event. After starting times have been released by the director and before the tournament begins, the media report will only show upcoming matches. During the days that the tournament takes place, both upcoming matches and results will become available for viewing. After the event is over, only the software tournament results will be available for viewing. 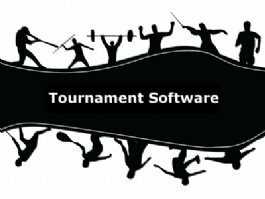 The software tournament media report has 7 different reporting options which are: By Division, By Participant, By Country, By State, By City, By Club, and report of top 4 division finishers. The report lists the players name along with where they are from. Their picture will also display if one has been uploaded to their profile. The division name is linked to easily view to the bracket. It also lists the round in which the match occurred along with final scores. The opponents name is linked and when clicked will take you to that player/team’s game history. Clicking the all history link on the far right shows all of that players history in R2 sports. The director has the option to add a match note to the end of the match. For larger tournaments, media can use the software tournament AP report generator and download the text files for easy email to the press. When the director sets bracket tournament points for specific divisions, the software tournament match report will calculate total points by the report option that is selected. The screen shot shows an example of the media report by player with a points system in place.